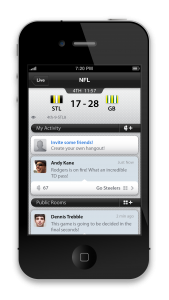 Whether you want your Private social groups to include your family, friends, teammates, alum, neighbors, fellow bloggers or workers, or, perhaps you’re wishing to find Public rooms of sports fans that like what you like, PlayUp has developed a customized Platform ready to go that allows for this social interaction inside of their app. The company has Australian principles who legend has it were at an Aussie rules football game when a big goal was scored and out popped all the fans handhelds in order to celebrate the moment together. Because of that experience it dawned on them to start a business focused on that exact thing, fans interacting with each other during a given moment in the game, via mobile devices or tablets, all inside of a virtual world. Visit back to this Sports Techie blog because PlayUp may very well be onto something visionary and special: https://sportstechie.net/best-new-sports-tradition-is-social-media-during-live-sports-events/. 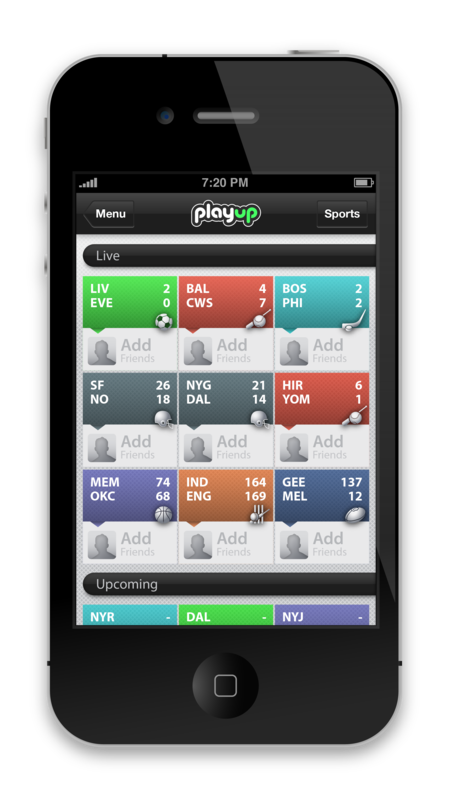 PlayUp has already had success working with 20 global soccer leagues, football, cricket, hockey, basketball, and more. PlayUp has offices in England and India. England is the site of the London 2012 Olympic Games, while India is home to many sports fans that have mobile devices. Their U.S. startup is based in New York City where they employ 12, many of whom are designers. If you are looking for a job opportunity, hit them up at playupusa@playup.com. 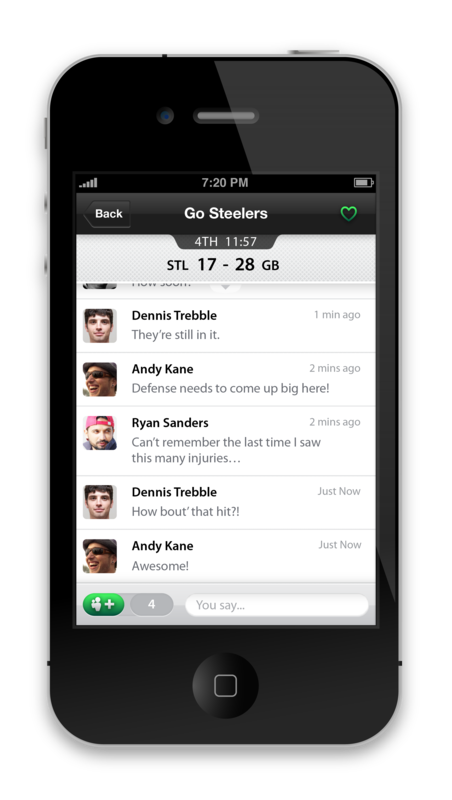 On a global scale now, you can drill down into the PlayUp environment and find fellow sports fans with a common interest, such as the Premier League or NCAA basketball. 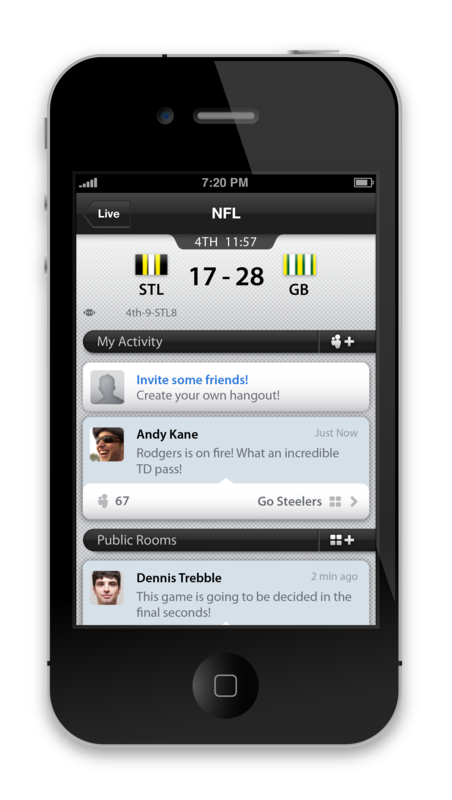 Or, simply invite your own peps to a private chat about the NFL game or ESPN ESPY awards (my room idea) in real-time, from wherever they may be in the cloud, on this delicate planet. Eventually, premium content will become available. If a star player wants to open a room, he could command a fee for you to engage with him. Gamification with fantasy sports tie-ins will be forthcoming. PlayUp USA hired a former Farmville executive to help launch this important piece. Microtransactions are another revenue stream this business model will capitalize on. Finally, with a solid base of fans in place, they can further develop their Ad and Sponsorship partnerships, which is exactly JP’s career focus. I wanted to know about localization and JP said that English, German, Spanish, and Italian are their core focus with languages thus far. I asked why the IOS architecture was their preferred software and JP nicely arranged for me to speak with Dennis Lee, U.S. Head of Product. Dennis shared that they are on IOS because the company made a decision to not build their platform with existing 3rd party software. PlayUp has written proprietary code that allows them to stay flexible in terms of building out their technology with additional customized coding. JP emphasized that the PlayUp Solution works, it’s simple, intuitive, and because of constant feedback, they consistently have upgraded versions. Software improvements have included new techie bells and whistles, and product fixes. It’s fun getting to know the backgrounds of people before you dig into a blog interview. JP used to work at the NBA. We had a couple of similar sportsbiz contacts, Sully and Brenda. Welcome to the sports tech startup world, JP. Thanks for your this blog opportunity too. Big shout out once again to the fabulous Mr. Joe Favorito @joefav for helping Sports Techie connect with PlayUp and JP. If you have an iPhone, Sports Techie, surf online over to the App Store and give PlayUp an opportunity to win you over as a fan. Via their web site you can follow PlayUp on Twitter and join them on Facebook. If you start your own chat, win a contest, or hook up with a superstar, let us know below.